Dr. Phillip Davis (Ft Myers) - Book Appointment Online! Internal Medicine is the medical specialty dealing with the prevention, diagnosis, and treatment of adult diseases. 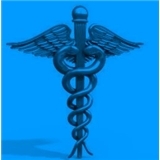 Physicians specializing in internal medicine are called Internists. They are especially skilled in the management of patients who have undifferentiated or multi-system disease processes. Internists care for hospitalized and ambulatory patients and may play a major role in teaching and research. Internists are qualified physicians with postgraduate training in internal medicine and should not be confused with "interns," who are doctors in their first year of residency training.